It is amazing how well a new coat of paint can freshen up a space. At Aptera, we provide the information you need to choose a reputable painter who will get the job done right the first time. Here you will find tips on everything from basic DIY home painting to how to choose a professional painter. Additionally, we partner with painters in your area to get you competitive project quotes should you decide to hire a professional. So let's get started! DIY Tips What is primer? What paint finish should I use? What painting equipment do I need? Hiring a Professional How much will it cost to paint my house? Comparing painters How do I choose the best house painter near me? When having your home or office building repainted, it is important to ask that all surfaces be primed first. The cost will be slightly higher when you prime and paint, however the resulting appearance will be much nicer. Additionally, the paint will look better for a longer period of time as primer tends to have better adherence qualities than paint. What paint finish should I use? You local hardware or paint supply store can usually advise on the sheen that would work best for your residential or commercial space. Use the paint finishes quick reference table below to help give you an idea of what to expect on how to select a finish. Choosing the proper color palette is half the battle. 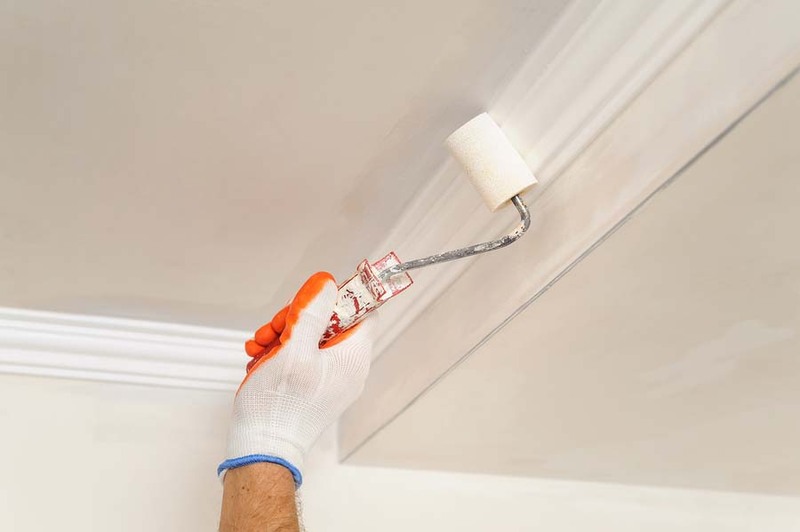 A painted crown molding with the proper finish can make a room look completely new again. What painting equipment do I need? Another reason to choose a professional painter for your project is their access to equipment. Painting companies will have the ladders, scaffolding and roller extensions necessary to reach areas a homeowner cannot. Additionally, professionals will use high quality tools. Not all paint brushes and rollers are created equally. The right tools can help the project go off without a hitch. Our partners are experts in the painting industry and are familiar with selecting tools that will make your project look beautiful. What should you expect when requesting a quote for painting? The price will depend on the total square footage of your home, the equipment required, the anticipated amount of labor, and the cost of materials. Some painters offer a flat rate for painting average-sized rooms, while others charge for time and materials. The majority will use a square footage charge when figuring the total cost of your project. Remember, high ceilings, intricate trim work, and accessibility to the project areas will all be reflected in the final price. Aptera has gathered some information that will help you understand what you can expect to pay for your painting project. Pricing is based on an industry average. When you hire a professional to paint your home or business, you are not only paying for labor and materials, you are paying for expertise. Request that your contractor lay out all of the details in your contract. From how the company will protect your antique table to where they will wash out their brushes, you will want to ensure everything is in order. This helps to protect your valuables from loss. Of course, the most important portions of the contract will explain what the company is going to paint, how many coats (and which sheen) they will use, how long the project will take, the expected start date and the total cost. Ensure the contract also lists the brand or quality of paint to be used, as well as the painting company's warranty. Remember, the lowest price does not always mean the best work. Sometimes you may want to be prepared to pay a little more to make certain the project is done to your standards. Be proactive in your search once you have narrowed the choices down to two or three candidates you should do a little follow-up. Take the time to check references. Ask for pictures of recently completed projects. Inquire about the specifics of your project to gauge whether or not the painter has worked on similar tasks. Finally, make sure the painter has all of the required documentation to back up his or her claims. Ask for a current certificate of insurance and check that the company is up to date with any required corporate or LLC filings in your state. 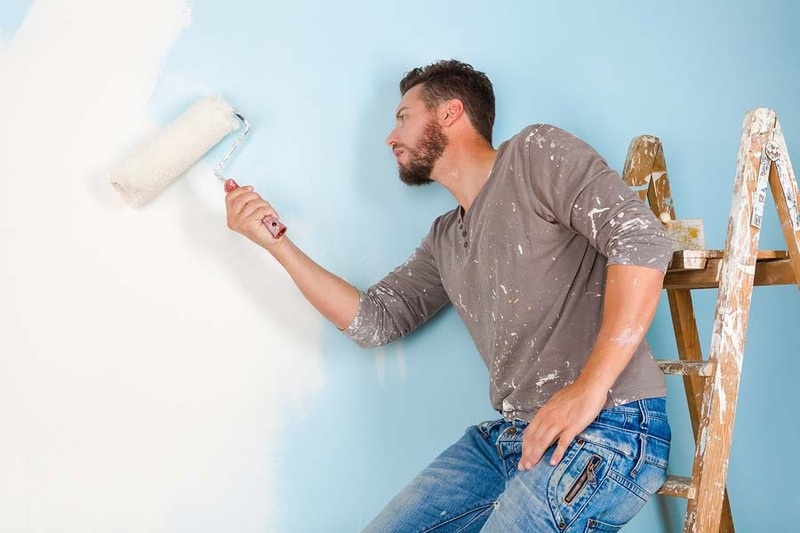 Avoid the mess of DIY by comparing professional painters. 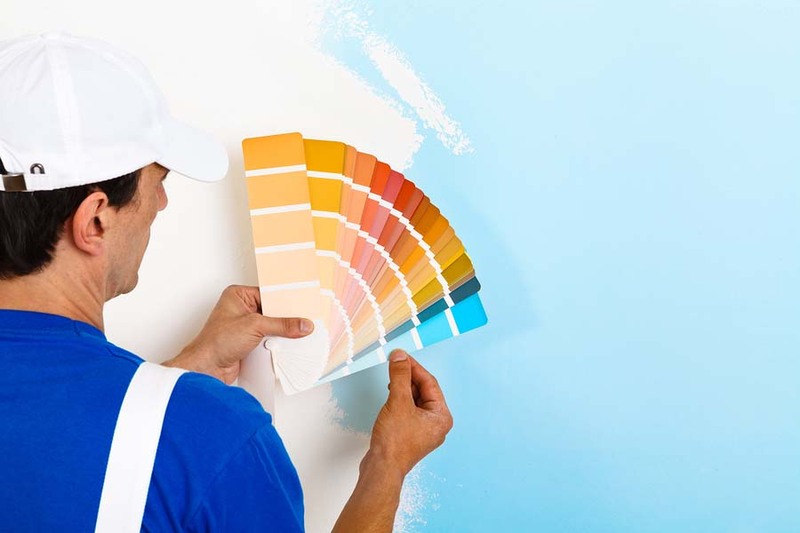 How Do I Choose The Best House Painter Near Me? Finding a professional house painter nearby is integral to the outcome of your project. Every city has dozens of journeymen painters who can pick up a paint brush or roller and begin applying paint to a wall; however, not everyone can do it correctly. If you are seeking a beautiful finish that will look appealing for years to come, a professional locally established painter is the way to go. Hire an expert to perform the more dangerous painting projects. Like second story window borders. Choose a painter who not only has some experience in the trade, but has made painting his or her career choice. 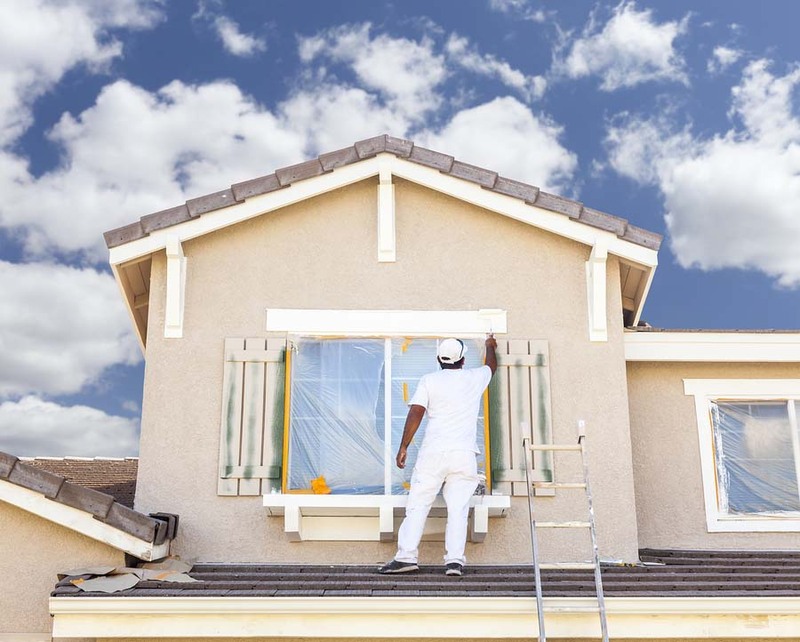 While a professional painter may be slightly more expensive than a handyman service, the pro will get it done right the first time saving you money in time and materials. Aptera only partners with trusted professionals in your local area. This means we are able to connect you with multiple painters who are experts in their field. Aptera has partnered with professional painters in your area to bring you painting quotes that stay within your budget. Our reputable partners are highly regarded as the top painting contractors in your area. Provide your project information and let Aptera help you find the perfect painter for your home or business today.